When we talk of traditional Punjabi food- the masaledaar, spicy & tadka maarke one cannot forget the name of Punjab Grill, the flagship restaurant from Lite Bite Foods which is most of the times full of Punjabis and food lovers like me. When I visited their Select Citywalk branch recently, I was sure that I was in for a treat enticing the aroma of food from the open kitchen. 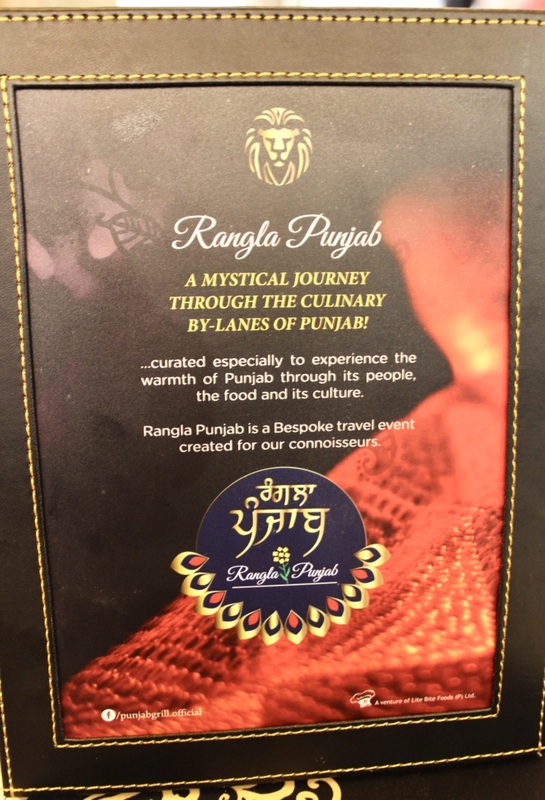 So here we have the Rangla Punjab Food Festival at Punjab Grill which will make you revisit the culinary by-lanes of Punjab. Infact, the dishes were planned by the Punjab Grill team in a villiage in Amritsar, living there & experiencing the Punjabi culture & food and then curating the entire menu. 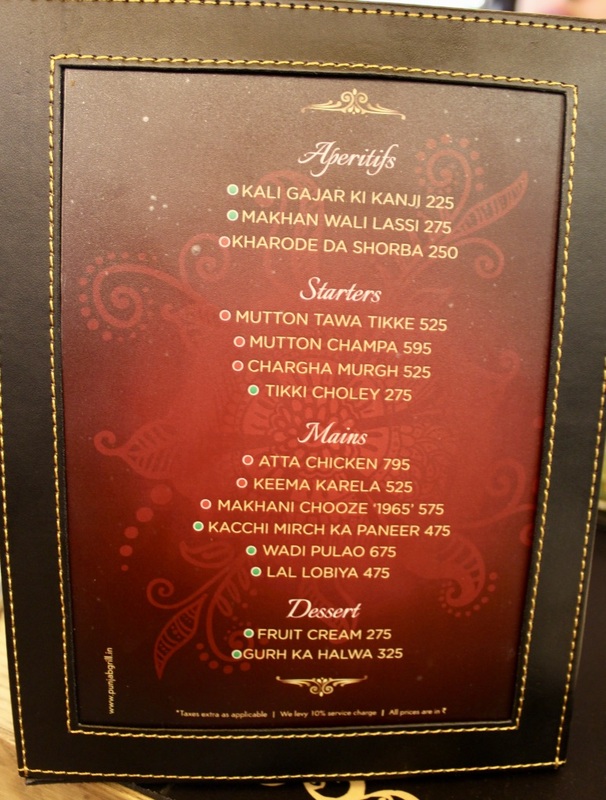 The specially curated menu features 15 dishes like Kali Gajar Ki Kanji, Makhan Ki Lassi, Kachi Mirch Ka Paneer, Wadi Pulao, Atta Chicken- all the food layered with lots of Punjabi spices and love. 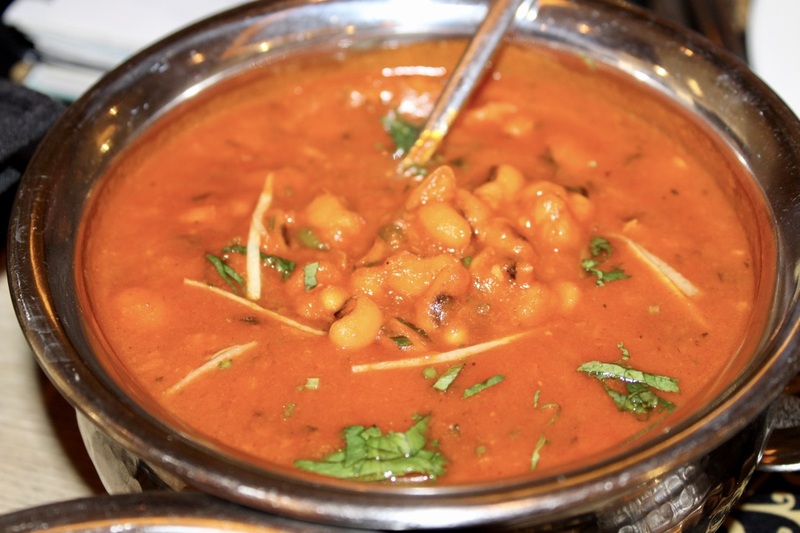 Oh yes, who can forget the lovely Tikki Choley also being served in the Rangla Punjab menu and then the Gurh ka Halwa to add to the special Punjab touch and flavour. 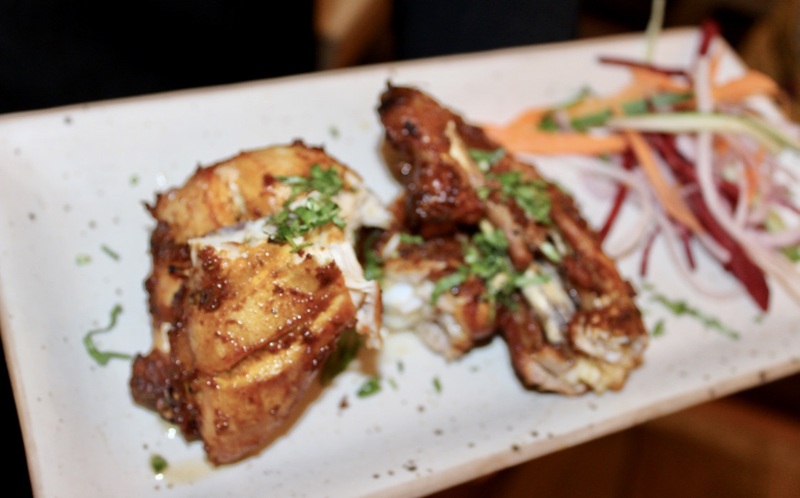 Being a Punjabi mysel, I always relish good Punjabi food and this time I was not wrong in making a choice for Punjab Grill as my food destination. 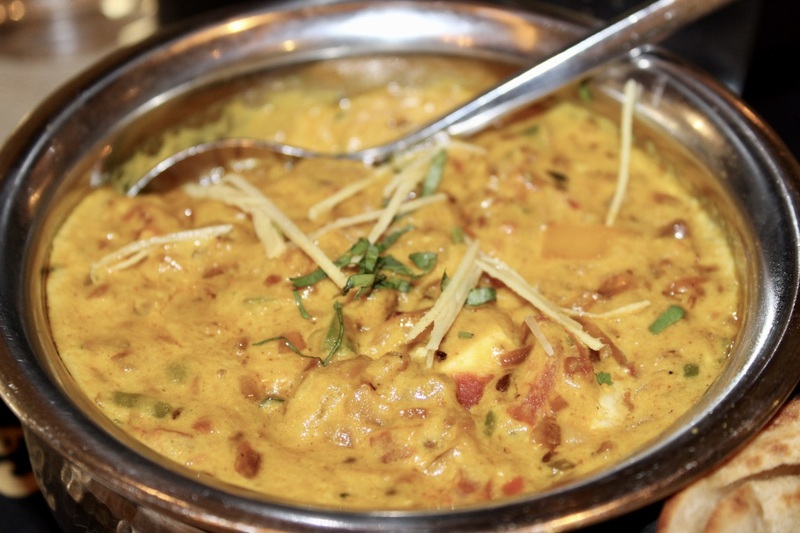 Next Chargha Murgh (one of the most ordered dishes from the menu) was crispy and spicy. A famous street food of Lahore, Pakistan, it was delicious, juicy and fleshy. I completely relished the juicy flesh of the succulent chicken. Then came the highlight- Atta Chicken, a delicacy of Kotkapura, Punjab and Punjab’s answer to the Chinese Beggar’s Chicken which is slow cooked with the juices for two hours. 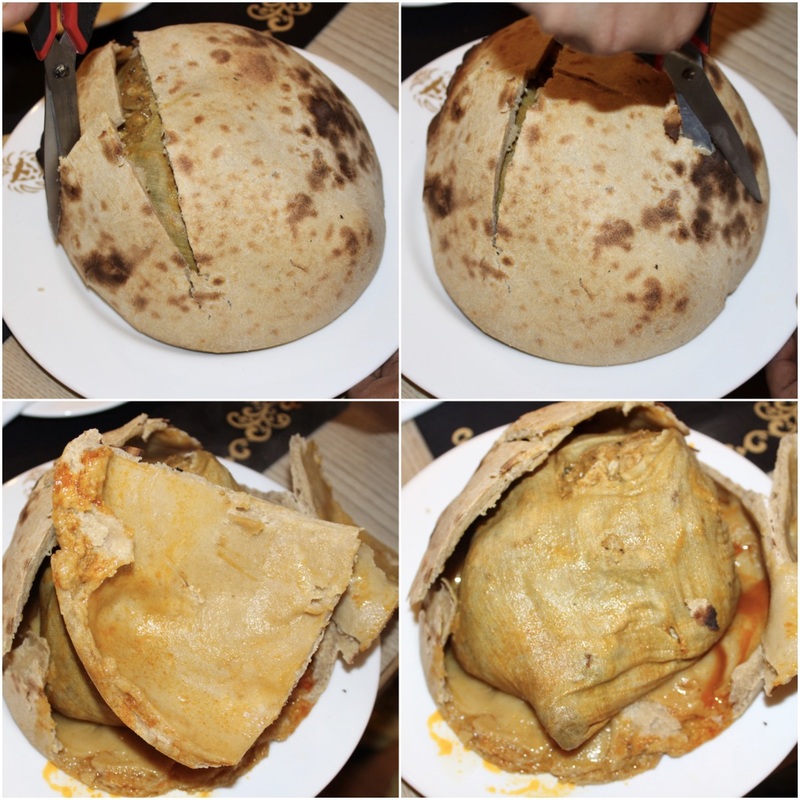 The chicken is marinated and stuffed with a marinade of cream or yoghurt along with dry fruits, then tied in a muslin cloth and then wrapped in an atta dough. In earlier days it was buried under the sand with coal around to get the exact flavour. It was very spicy, juicy and masaledar. It was indeed my first time trying the Atta Chicken but I truly enjoyed it. 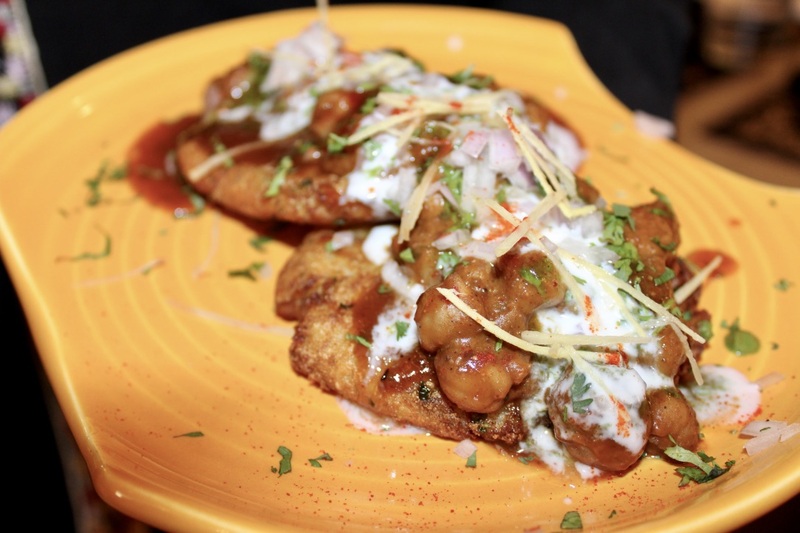 The Tikki Choley was very nicely made, a street food delicacy topped with onions, fresh coriander, chutney and yoghurt. The layer of tikki with Punjabi choley on top was very tasty and I loved it. 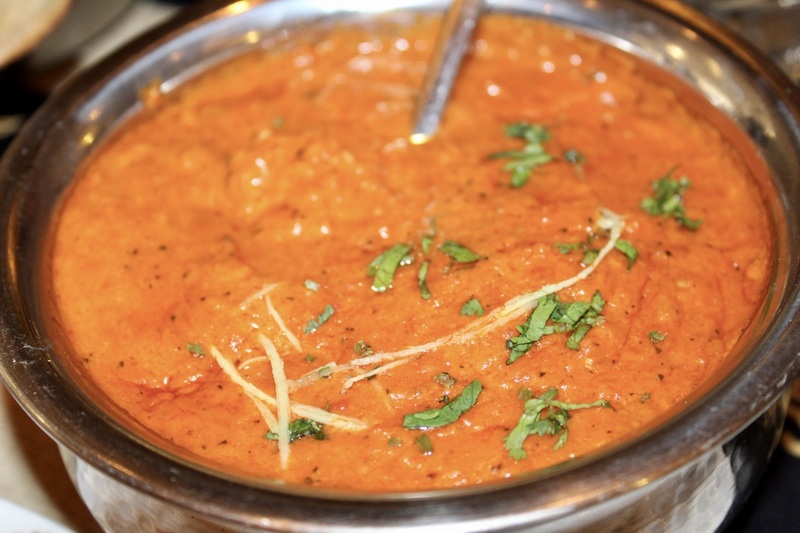 Coming to the main course, we first tried Makhani Chooze ‘1965’ which was basically Butter Chicken with no cream & no sugar cooked in old-style rustic manner like in our earlier days. Fried onions are added to it to give sweetness to the dish. it was very delicious and I couldn’t believe I was having it minus cream & sugar! They also have a few mutton dishes but since I am not a mutton fan I gave them a miss. Those who love mutton should definitely try their core mutton recipes. The Kachi Mirch Ka Paneer is again a delicacy of core Punjab with lots of bell peppers and tomatoes and yes the thick yellow gravy with the delicious fresh paneer pieces. 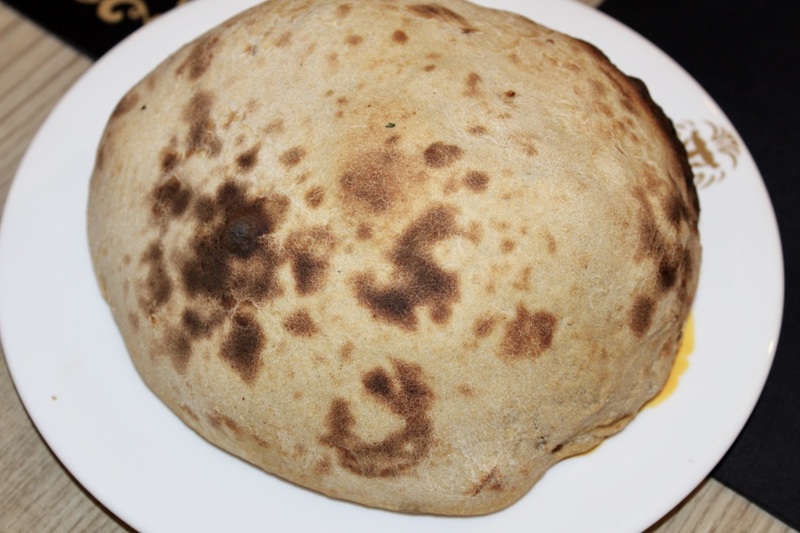 It tasted yum & full marks to chef Vijay Sethi for the recipe. Also, the Lal Lobiya were spicy but very nicely made. Do try it out! 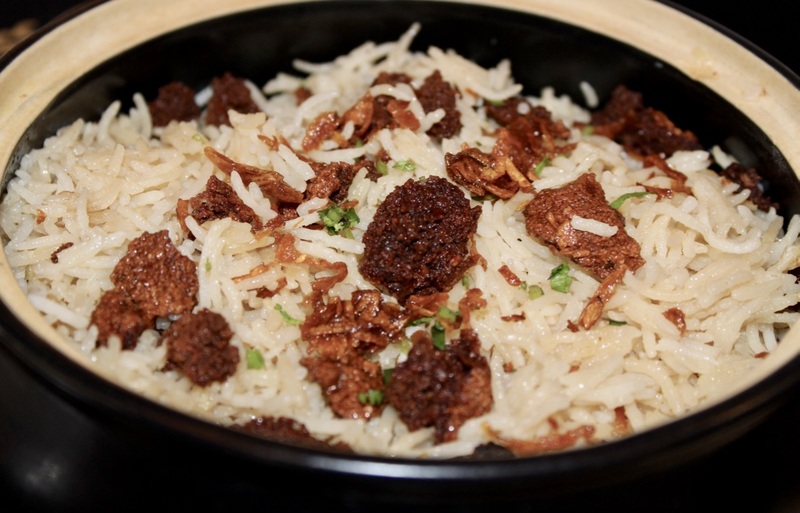 The Wadi Pulao were pulao cooked with daal wadi. It was different and I had never seen it before at any restaurant. It tasted good and different with lots of fried onions and daal wadi. 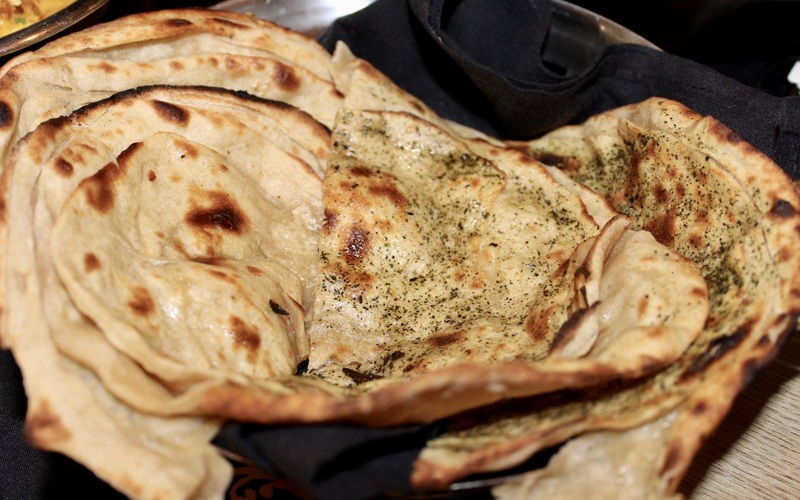 Our meal was accompanied with an assortment breads- Pudina Parantha, Naan, Tandoori Roti, all of which were very soft and tasted good. 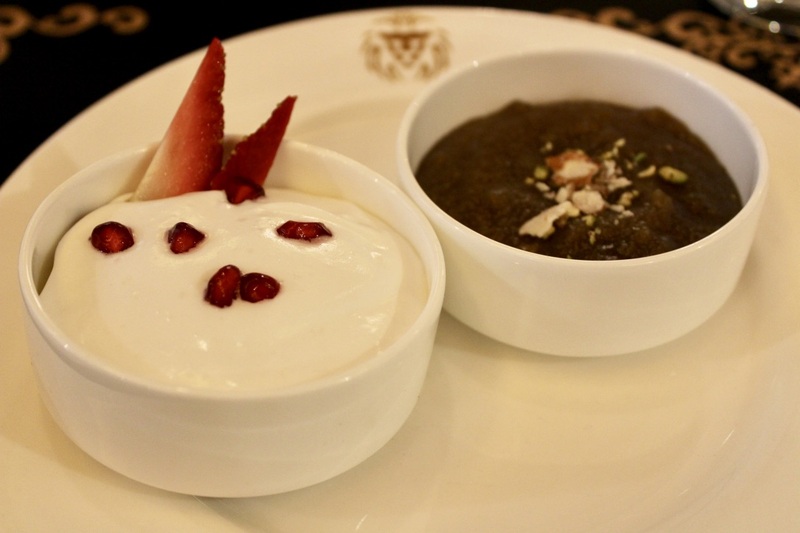 Lastly for the desserts, we tried Fruit cream & Gurh Ka Halwa. The Fruit Cream was nice & smooth with a perfect texture and lots of fresh fruits. The Gurh ka halwa had suji, atta, gurh, semolina badam and pista to give a sweet and nice ending to our Punjabi meal. In a candid conversation with the Master Chef of Punjab Grill, Chef Vijay Sethi who is a Delhiite working since 2 years in Punjab grill. His four year old daughter loves to see her father cooking and asks a lot of questions about food. Chef Vijay loves simple food that is Dal and Roti and his all time favourite being Baingan ka Bharta. 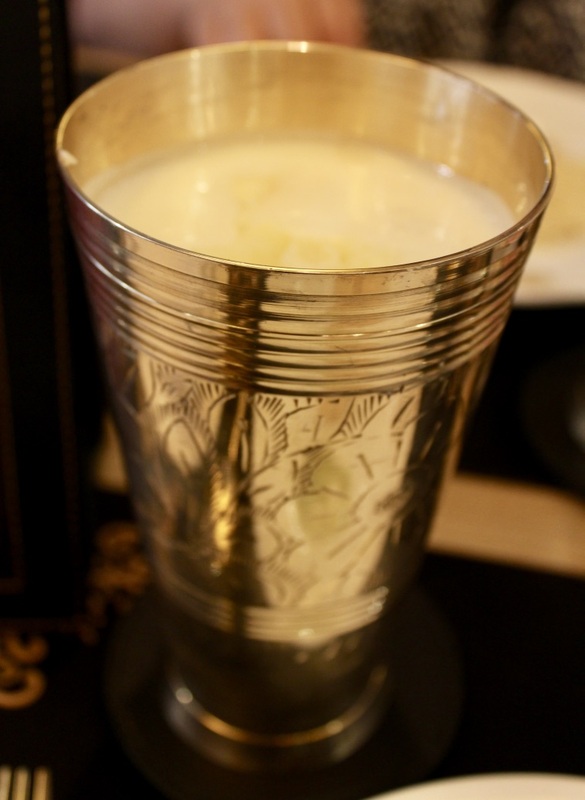 I totally loved all the delicacies and very soon Punjab Grill is also launching fresh mocktails and juices for summers with lots of festivals lined up in the months to come so we have more reasons to enjoy and come to such a wonderful place for the excellent food & service and the classic Punjabi taste. 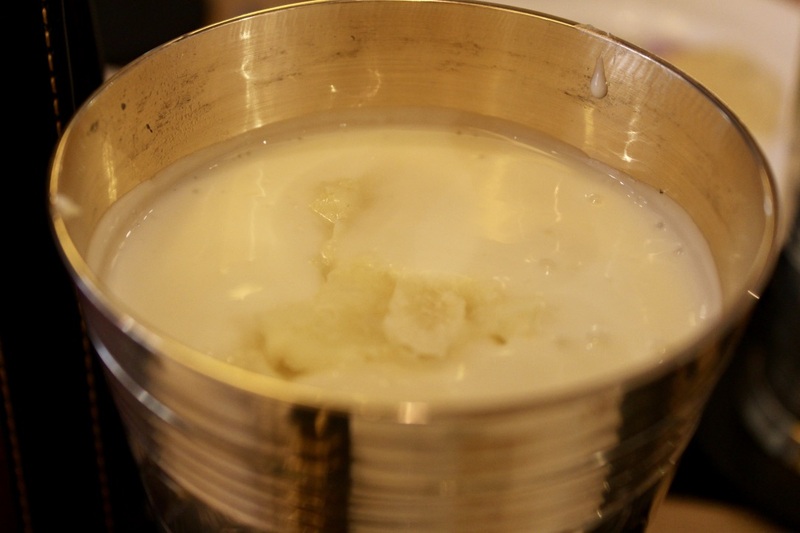 My favourites from the Rangla Punjab Festival have to be the Lassi and Atta Chicken and I will go back soon for more without any second thoughts! PS: The menu is available at their Saket outlet in Delhi and Palladium outlet in Mumbai. Do not miss it, it’s on till 30th April, 2017 only! Looks like a must try ! This is something that I am definitely going to try.